Abstract: A growing share of the world’s wind energy development is now occurring offshore since many offshore sites have a good wind resource and offer opportunities from large-scale development. The mesoscale models play an important role in the wind resource assessment (WRA) of the offshore wind farms, having the potential to accurately predict the wind resources that the wind farm site would have had for an historic period. In the current study, the steps that should be taken to improve the accuracy of the mesoscale models offshore is addressed with focus on the need for a proper validation process, selection of the best model configuration and consideration of the stability conditions. EDF R&D tackles the challenges in the WRA by supporting offshore wind farm projects with a multi-scale approach that was developed in-house. This multi-scale approach is an innovative method of modelling the wind from a regional to a local scale and it is based on re-analysis data, the Weather Research and Forecasting (WRF) model and an in-house CFD model. Flow modelling uncertainty is an especially important contributor to the total uncertainty in the WRA of the offshore sites, though one that is rarely quantified rigorously and is often overlooked, leading to unnecessary risk for the project owner, developer, investor, or lender. EDF in this study defines, assesses and suggests ways to reduce the uncertainties in WRA. In particular, a framework for the categorisation of the uncertainties for wind resource and energy assessments is presented. Analysis of the uncertainties associated with different wind flow models is provided together with a better view of what wind flow modelling uncertainty is currently considered in the WRA. Finally, a particular focus will be placed on the reduction of the uncertainties in WRA by using mesoscale modelling and multiple measurement devices. Abstract: The increase of human presence in maritime space, to create new offshore wind farms, demands a better knowledge of the natural phenomena occurring in this environment. Determinant for the structural project and to forecast the energy production of offshore wind turbines are the wind conditions over the sea, which are in part characterized by the variation of turbulence intensity (TI). The International Electrotechnical Commission (IEC) recommends in “Wind turbines – Part 3: Design requirements for offshore wind turbines” the use of the Normal Turbulence Model (NTM) to describe the TI in the project of offshore wind turbines. However, it is acknowledged that this model does not reflect correctly the variation of TI over the oceans’ surface. It is therefore necessary to define a new turbulence model to be employed in the offshore environment. In this paper, the suitability of two turbulence models to describe wind’s behaviour over the ocean’s surface was investigated. The aforementioned NTM and the Offshore Normal Turbulence Model (ONT), proposed by Wang et al. in 2013, were tested against two wind data sets: the first relative to the western coast of Portugal (WindFloat turbine, 2012); the second to the eastern coast of Massachusetts, USA (data of a measurement mast, 2009). The analysis of the available data showed that as the average wind speed increases, the TI of offshore wind decreases until a minimum value, from which it then increases. It was confirmed that the NTM overestimates this parameter and does not describe its increase for high wind speeds. On the other hand, the ONT model successfully described offshore wind’s TI and reproduced both data sets with very accurate precision. Beyond the suitability to the available data, experiences with the ONT model were performed. Based on the results attained some modifications are proposed as well as more validation studies. Abstract: Recently, Brazil has increased the wind power capacity. As consequence, reliable wind energy forecasting is needed in order to control by the national grid safety. Thus, the present study aims to evaluate the wind forecasting using WRF atmospheric model with four different planetary boundary layer (PBL) schemes. Pedra do Sal wind farm, which is located in the northeast coast of Brazil (02.82S, 41.71W), was selected to validate the simulation. The model uses the GFS global forecasting model data as an initial and boundary condition to forecast seven days ahead. The WRF model was configuring with resolution of 10kmx10km and 10min interval to forecast the period from 01 to 07 July 2013. The choice of this period is based on intensity of precipitation from due arrive of the ITCZ. The four PBL scheme are used in this study: YSU-Yonsei University PBL. MYJ-Mellor, Yamada and Janjic PBL, QNSE- Quasi – Normal Scale Elimination PBL and MYNN2 – Mellor-YamadaNakanishi-Niino. The simulate data was compared with wind profile from a measurement tower and a LiDAR (500m height), which was interpolated to same model level. The results for all cases show a very good correlation over pressure and temperature (>0.8) and rmse (>0.9 hPa and > 0.7C, respectively), but underestimate the precipitation. The MYJ scheme have the best wind profile forecast (R2=0.46) flowing by MYNN2 (R2=0.42 ); YSU (R2=0.2) and QNSE (R2=0.12). Test of sensibility shows that the intensity of the precipitation was very sensible change soil model and increase of resolution but results in worse R2. Co-authors: Lynch M., McGann B. and Sutton J.
Abstract: This study describes the verification of modelled low-level winds in the complex terrain surrounding Lake Turkana wind farm in north western Kenya. The Weather Research and Forecasting model (WRF) was used to simulate near-surface winds using six different boundary layer parameterizations. The model runs are for the entire 2009 calendar year and are compared to measurements from 3 meteorological mast locations: Kalkumpei, Nyiru and Sirima. WRF run using Mellor-Yamada-Janjic scheme produced the best annual results at Sirima with a mean difference of 0.56m/s and IOA of 0.61. Annual Mean difference of 0.56m/s is a fairly big difference compared to 0.01m/s and 0.16m.s at Kalkumpei and Nyiru respectively. Observed data at Sirima has 2 dominant wind directions: east and south east whereas WRF predicts wind direction to be predominantly south east. Possible explanations for the poor model performance at Sirima can be linked to its location. Sirima meteorological tower is atop a very exposed ridgeline that can be subject to sporadic wind gusts and rapidly changing wind directions which can be difficult to model. Based on the analysis and results presented in this work, it can be concluded that WRF model can be used to generate wind data that can be used directly in wind resource assessment. Abstract: It was realized long ago that long-term meteorological measurements were not reliable for corrections of short-term on-site measurements. The access to global datasets coupled with meso-scale models provided much better tools for LT corrections both for AEP calculations as well as site suitability. During the last 10 years we have seen an increasing refinement of these methods and we now have a number of products available on the market ready for use. Each of these models have their strengths and weaknesses which become very obvious when applying several methods on the same site. One model might indicate an upward correction of the on-site data whereas another might show less increase or maybe a downward correction, and for another site the results might be the other way around. The question now is how to choose the best model for corrections given a certain site. Which parameters can you use to make the right choice of model. We have found that a whole range of parameters and considerations are necessary in order to choose the “right” dataset and the “right” method of applying the dataset. As a benchmark for the proposed process, the exceptionally poor wind year of 2014 in Turkey has been used. It was an unusual year both regarding wind speeds and wind directions. Through a structured approach using several models, we demonstrate how to reduce the range of uncertainty that can be made. We quantify their consequences on the calculated AEP and site-suitability. Guidelines for a more qualified choice of data sets and methods are presented as a first step towards a best-practice guideline for the industry to reduce the uncertainty of LT corrections. Abstract: Our work addresses the current demand for high-resolution statistics of wind speed, wind direction, atmospheric stability and turbulence in the North Sea. Direct meteorological observations in the North Sea are sparse, and the spatial and temporal resolution of existing reanalyses, as for example ECMWF’s ERA-Interim, are too coarse to resolve important small-scale features of the atmospheric flow. To obtain meteorological statistics of higher resolution, we dynamically downscale ERA-Interim in the North Sea to a horizontal grid spacing of 3 km and a temporal resolution of one hour. The simulation period ranges from July 1999 until December 2008. Throughout the model domain, the large-scale flow is forced by spectral nudging with ERA-Interim data, and the near-surface winds are nudged towards QuikSCAT satellite winds. A comparison with radiosonde measurements at Ekofisk oil platform shows that the bias of the downscaled wind speeds is smaller than the bias of ERA-Interim and lies within the measurements’ accuracy. A comparison with ASCAT satellite winds shows that the downscaling improves the distribution of mean wind speed, especially in proximity to the coast. Besides common measures as bias and root-mean-square error, we also apply a new goodness measure, which takes into account that accuracy in certain wind-speed ranges is more important than in others when simulating wind-turbine power production. The new measure supports the finding that the downscaled reanalysis is better suited for wind resource assessment than ERA-Interim. Abstract: Inter-annual variability of wind speeds at a particular site significantly affects both the historical representativeness of measured data and also future projections of energy yields. The value chosen within a wind resource assessment will impact significantly on the overall project uncertainties and ultimately financial returns and attractiveness of a wind farm. In most situations it is not possible, or practical, to produce a site-specific inter-annual variability figure, due to a lack of available long-term data. Therefore, normal practice is to use a generic value representative of a particular region, often country specific which is often not appropriate given that inter-annual variability can vary from 3% to as much as 10% depending on location. Reanalysis datasets have the potential to model inter-annual variability; they are understood to typically under-estimate the longer term variation of wind speeds due to the averaging effect which is inherent in the method of production of the data. However, the spatial variation of inter-annual variability within reanalysis data is something that has the potential to produce refined estimates if used appropriately. Building on previous work within the field, this study has investigated both the MERRA and ERA-Interim reanalysis datasets and compared the inter-annual variation predicted by these datasets with various ground measurements. A wide range of locations have been examined including UK, Ireland, France, Poland, Turkey and South Africa using both reference stations and taller meteorological masts. The relationship between inter-annual variability and typical ground measurements is assessed and presented in different regions along with recommendations on how to take advantage of reanalysis datasets within wind resource assessments in order to determine inter-annual variability at a specific site. Abstract: The estimation of local wind resources mainly suffers from missing representative information in the vicinity of a site like long-term time series of wind measurements in hub height. Producing such data is time-consuming and cost-intensive. So, the aim of the method under consideration is to allow an accurate and rapid wind resource assessment with a low budget. Existing long-term reanalysis data sets from major meteorological institutes, representing the best historical estimates of the atmospheric state on regular grids. This data is subject to different errors from underlying numerical model simulations (mainly spatial representativeness) but covers a long time period. Short-term measurements in the vicinity of the concerning site. This data is very accurate but only covers a short time period and is therefore not representative for a long-term period (i.e., the climate and its changes) at a specific site. The so-called long-term correction (LTC) aims at optimally combining these two data sources which is usually achieved by a measure correlate predict (MCP) algorithm. We present here a novel implementation based on deep neural networks including tricks-of-the-trade like, e.g., regularisation, early stopping and feature selection. This new method successfully eliminates biases and distortions and – most important – ensures the conservation of the observed wind speed frequency distribution at the same time. Even with shorter observational time series it shows superior skill to other methods in general, and for locations with complex conditions in particular. Thus the advantages of both data sources are brought together in the best possible way to generate local and accurate wind resource information that is representative for a climatological period (30 years +). This leads to a significant improvement of wind resource assessments by minimising uncertainties in wind resource and, by that, financial risks. Abstract: The Met Office has recently generated a new UK onshore wind dataset through combining mesoscale models. A series of nested configurations of the Met Office’s Unified Model (UM) were used to downscale ERA-Interim to produce a hindcast dataset over Europe at 4.4km resolution, giving a consistent dataset capturing the wind climatology from 1979-present. In addition to this dataset, a 4+ year archive of the 1.5km resolution operational UK forecasts produced using the UM is available. The 1.5km resolution is sufficiently high that a parameterised orographic roughness scheme is not necessary, whereas it is required in the 4.4km configuration. Using a directional dependent linear regression 4 years of finer resolution data have been used to adjust 30 years of the hindcast over the UK. Combining these two datasets utilises the benefits of the high resolution, data assimilation of many observation types and lack of orographic roughness parameterisation of the 1.5km resolution data whilst retaining the climatological information from the long 4.4km resolution hindcast. Initial results show a reduction in the biases compared to using the 4.4km data alone. It would be possible to use this method to replace the more expensive orographic roughness adjustment techniques that we have used when generating wind atlases before, e.g. when generating an Irish wind atlas (under a contract awarded by the Sustainable Energy Authority of Ireland). Results of this new dataset will be shown along with a discussion of the benefits of using a long hindcast dataset over using a shorter period for generating a wind atlas in this way. This can make a large difference, as though it is possible to adjust overall mean wind speeds in a relatively straightforward way to account for different climatology lengths, when breaking results down into seasons or wind direction bins the adjustments are not as clear cut. Abstract: The economic profitability is strongly influenced not only by the wind speed, which is needed to define the turbine type to be installed, but also by its direction, which represents a dominant parameter in the wind-farm layout design. Wind potential assessment from short (e.g., one-month) sample can be severely poor if performed when the wind is not blowing from the prevailing direction(s). This paper proposes a Bayesian approach in order to hasten directional data analysis collected from an Italian candidate site. In particular, the wind direction is grouped in 8 sectors and modelled with the multinomial distribution. The Dirichlet distribution is chosen as prior and is derived from historical data available at a neighbouring survey station. In particular, the prior distribution elicitation is based on the Fisher’s angular-angular association between directional data with speed value greater than 4 m/s , which are collected simultaneously from the candidate site and the neighbouring survey station. In expert opinion, such threshold value represents the least speed which is able to effectively activate turbines. Then, the Bayesian approach proposed by Erto et al. (2010), which involves MCMC (Markov chain Monte Carlo) method, is opportunely adjusted in order to furnish the estimates of the wind speed distribution for each sector. In such a way prior information on wind features can be better incorporated in a more familiar way into adopted prior distributions for the Weibull model parameters. The attained results show that the mean square error of the Bayesian estimates carried out from a one-month sample is comparable to the maximum likelihood estimates obtained from an actual one-year sample. Such analysis is proposed to cope with actual problems faced by renewable energy companies as encouragingly shown by an application to real anemometric data from a Southern Italian site. Erto Pasquale, Lanzotti Antonio, Lepore Antonio (2010), “Wind speed estimation from one-month sample via Bayesian approach”. Quality and Reliability Engeenering International, Special Issue: Business and Industral Statistics: Developments and Industrial Practices in Quality and Reliability. Abstract: CFD simulations are gradually becoming a useful tool for wind farm site assessment due to their ability to properly capture topologically complex flows. Most CFD applications used for micro-scale simulations are based on Reynolds averaged Navier-Stokes (RANS) techniques. However, most turbulence models are derived and calibrated with generic situations in mind, and simulations in complex terrain may result in poor agreement to measurement data in critical parts of the orography or lack of convergence when using second order differencing schemes. This situation encourages the wind analysts to use highly resolved transient simulations, which include the time derivative term in the transport equations to resolve large-scale flow motions. In this work, we present a numerical comparison of different modeling strategies using the benchmark case of Bolund island, which consists of a steep cliff in the main flow direction. For this case, correctly capturing the turbulent intensity on the hilltop is very challenging for all available RANS models due to the rapid changes in the geometry of the hill. Three simulations are executed using RANS solvers in steady state mode, unsteady mode and a LES-like hybrid eddy resolving method based on the k-zeta-f RANS model. The applied eddy resolving method is the Very Large Eddy Simulation (VLES) technique, which is capable to adapt the eddy structure to arbitrary mesh resolution while using a RANS formulation in the surface region in a seamless manner that avoids the usual shortcomings of the classical LES approach. The numerical results show a promising improvement by applying the eddy resolving method compared to the steady RANS simulation. By contrast, the unsteady RANS method shows almost no improvement and the results are very similar to the steady simulations due to its overrated modeled length and velocity scales. This numerical study aims to contribute to improved guidelines for CFD simulations in complex terrain. Abstract: This work presents a new methodology developed to design a sensor network extent to ensure a certain level of uncertainty in the development of spatial analysis of long-term estimations of wind energy resource. The resource maps are a useful tool in the screening process areas of interest for the use, development and installation of renewable energy. Different techniques and sources of information are used to estimate the long-term resource availability in a geographic area, weather models, satellite images and ground measurements are the most common. Obviously, the more accurate information is provided by real measurements using appropriate sensors, but this information presents the disadvantage of referring to a particular point and the usual scarcity of this type of data in many parts of the world. On the other hand, it should be noted that in the development of resource maps the actual available information is introduced to adjust estimates and validate the results. In this work it is considered an initial estimation resource in a geographic area, with the goal of identifying the ideal location for a sensor network that allows us to reduce the uncertainty of the estimate. For this purpose, the spatial and temporal variability is analyzed by using spatial statistic and to identify distinct areas and representative points. This analysis is merged with the rest of geographic information available by mean of a GIS to obtain the most interesting locations to the measurement network installation. Abstract: The transformation of measured short-term wind data into the long-term wind climate is a major source of uncertainty in wind resource assessments. The usual approach, called measure-correlate-predict (MCP), employs a long-term wind data series that is correlated to the short-term wind measurement. The process of MCP can be performed by various types of methods: the most common are simple methods of ratios, linear regression methods, “matrix” methods and the use of artificial neural networks. The presented MCP approach can be classified as a “matrix method”, because it employs the principle of classification the data into bins, most notably by wind speed and wind direction of reference series. The additional feature is the application of analog principle, which enables to preserve the relationship between wind speed and wind direction. As a result, the complete wind climatology including the wind rose is simulated. The matrix-analog approach can be implemented by several ways; two different options were proposed. Verification confirmed that the matrix analog approach enables reliable simulation of long-term wind speed distribution as well as the wind rose. A comparison with regression MCP methods showed that considering the long-term average wind speed the matrix-analog performs well, similarly as the linear regression method. Considering the wind speed distribution, the matrix-analog approach clearly overperforms simple approaches, such as Variance ratio method. We suggest making a more ambitious comparison that would include also more elaborate alternative methods, such as methods implemented in commercial software or artificial neural networks. Abstract: The WINDCUBE pulsed LiDAR technology originates from applied research at the French Laboratory ONERA in 2005 and was transferred to LEOSPHERE that year. 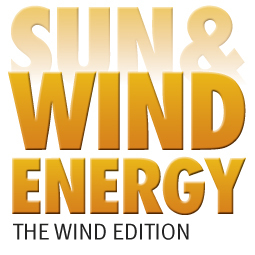 After ten years, there are more than 400 WINDCUBE™ LiDARs deployed and used in operational wind energy related projects, most of them for wind resource assessment and turbine testing. In this presentation, we aim to trace back the key milestones realized over the past ten years that have led to an operational and standardized use of LiDARs: the industrialization of opto-electronic components, the challenges raised by the objective to reach autonomous and continuous functioning in a large and tough variety of environmental conditions, the analysis and quantification of measurement uncertainties, the development of best-practices and standards. We base the presentation on key collaborative research projects and working groups as well as representative costumer applications. There have has been a lot done to reach a safe and trustful use of LiDARs. To conclude we propose to look at the remaining challenges to tackle and anticipate on the future development of LiDAR practices in the wind energy research and business, like nacelle-mounted and long-range scanning LiDARs. Abstract: LiDAR methods have been adopted for wind energy applications over the last decade. Methods initially developed replicated capabilities of conventional sensors mounted on met masts. These LiDAR methods offered advantages where challenges in measurement height and number of locations could be met more economically using LiDAR. Data requirements fulfilled by established procedures are restricted to those that can be fulfilled using the limited capabilities of conventional methods. Replicating these capabilities with LiDAR allows fulfilment of the same data requirements, but does not take advantage of the new measurement opportunities made possible by more extensive capabilities. LiDAR methods allow acquisition of conventional datasets earlier in project lifecycles and in wider sets of circumstances than is possible with conventional methods. However, LiDAR methods are also available that enable the acquisition of datasets that could not be acquired without using LiDAR. To take advantage of these new opportunities we must relate our data requirements, not to instrument capabilities, but to end results, and the project outcomes we are trying to achieve through data acquisition. The concept of the “LiDAR use case” has been developed from systems engineering and is being adopted by IEA Wind Energy Annex 32 in its description of LiDAR methods. This concept allows the aggregation and organisation of the otherwise unmanageable diversity of LiDAR methods that exist beyond simple replication of conventional capabilities. The implementation of a valid LiDAR use case ensures repeatable accurate measurements that are fit for purpose. Title: What has to be considered to maintain the quality of wind measurement data constantly high, when measuring with met mast in cold climates? Abstract: Icing is a real problem, when wind conditions should be measured in cold climate regions. Hence it is crucial to choose the suitable measurement set-up to reduce the effect of icing. On the other hand measurement data has to be constantly monitored to detect any effects caused by icing. We will discuss the advantages and disadvantages of cup anemometers and ultrasonic anemometers with focus on different sensor heating options. A smart heating control system can use limited power with maximum effectiveness to keep sensors free from ice. In extreme arctic conditions, additional heating systems for the met mast esp. the booms should be considered to ensure that the measurement is in accordance to IEC-61400. An example of a heating solution is shown to explain how key met mast elements can be kept free from ice. Besides heating and sensor selection, an outdoor camera can be used for visual checks of agglomeration of ice on sensors and mast structures. In order to monitor the measurement system, we present an online monitoring tool. Daily data plausibility checks are necessary to fulfil the MEASNET site assessment guideline. We show data plots, visualizing different behaviour of typical wind sensors in cold climate conditions. Correlations between sensors of different technology at similar heights can be used to detect slowing down effects. Various diagrams and charts are explained, which help to analyse icing parameters. We show how photos, which are taken parallel to the recording of measurement data, help verifying the wind speed data. Abstract: 3E assessed the benefit of using complimentary short-term LiDAR measurements until hub height in addition to mast measurements at over 2/3 of planned hub height. This analysis is based on measurement data from 15 sites, covering at least a full year of data at or above 100m. – Speed and direction-binned power law extrapolation of lower height measurements based on the short-term LiDAR measurements. The length of the short-term campaign was varied for each of the extrapolation methods and the long-term wind speeds at hub-height over the entire length of the mast dataset were generated. Each extrapolated dataset was compared to actual measurements at hub-height. RMSE values associated with the vertical extrapolation of measurements were calculated for the short-term measurement durations tested. Counter-intuitively, similar processing by wind and direction bin did not yield any added value. Title: Challenges of the Classical Uncertainty Approach to Measurement Uncertainty. Abstract: Improving of the way we calculate uncertainty has been a topic at the forefront of the industry for several years. Questions have been raised about whether the variability we see in projects are actually related to the uncertainty we calculate. The purpose of this presentation is to highlight some of the weaknesses to the common approach that has been used for many years. In order to bring to light several weaknesses of classical uncertainty approach, this presentation will first review the common methods and assumptions in uncertainty calculation. While there are numerous approaches have been taken over the years to calculate specific quantities, quite a bit of commonality exists between most who perform these calculations. Taking measurement uncertainties as an example, this presentation will illustrate how complex the process of propagating measurement uncertainty through the full uncertainty calculation really is. It will examine the implication is of certain assumptions and demonstrate the variability in uncertainty that can actually exist when uncertainties are propagated correctly. The audience will come away with a deeper understanding of the complexity of risk is that we are calculating and will be motivated to keep pushing the science forward in the art of uncertainty calculation. Abstract: The main goal of this study was to characterize the winds at Lake Turkana wind energy site using both mast and Doppler LiDAR measurements. The methods used to achieve this objective include the Advanced LiDAR data volume processing technique (ALVPT), time series, correlation and error analysis. Data was collected at 3 masts: Kalkumpei, Nyiru and Sirima using cup anemometers and wind vanes for the entire year, 2009. The Doppler LiDAR collected data for 2 weeks from 11th to 24th July 2009. The annual average wind speed at the 3 masts is: 10.44m/s, 10.75m/s & 11.10m/s respectively while the predominant wind direction is south east. Comparison between mast and LiDAR measurements was done for the period when the LiDAR data was available. The difference between Doppler LiDAR and mast wind speed means is small, the mean standard deviations for both instruments are in close agreement – 0.33, 0.05 & 0.47 and the Correlation is 0.9, 0.6 & 0.73 for the 3 masts: Kalkumpei, Nyiru and Sirima respectively. The wind speed derived from Doppler LiDAR data was output into a 20 km by 20 km grid domain and overlayed on a digital terrain model to create a wind atlas map. This map provides a useful product that can be used to evaluate Wind Atlas Analysis and Application Program (WAsP) generated wind atlases. LiDAR being mobile has shown great potential to assess winds accurately at any particular site for a range of heights over an area of ~ 200 km2 and with high radial resolution [~150 m]. Use of Doppler LiDAR for wind assessment is still maturing. Equipment configuration and software changes especially the ALVPT may affect measurement quality and accuracy of retrieved wind speed and direction. Abstract: Mono-static LiDARs for wind speed profiling and measurement make the assumption of a homogeneous flow across the area they scan. In complex terrain this assumption does not necessarily hold, and by using flow models it is possible to compute conversion factors that enable conversion from LiDAR measurements to mast-equivalent measurements. As complex terrain is at the core of the issue the use of a CFD flow model is preferred. The methodology has been well-known for several years. There is however very little public information available on the uncertainty of this methodology, although this is key information for financing a project. In order to assess the uncertainty of the methodology 20 sites were selected where traditional mast mounted cup measurements had been carried out in parallel with co-located LiDAR measurements. As LiDAR conversion factors are of the same order of magnitude as uncertainties of cup anemometers, cup anemometer measurements were validated or discarded based on cross-comparison between top anemometers. The amount of data to be discarded was found to be surprisingly high, highlighting the need for stringent cup anemometer validation before any comparison with LiDAR measurements. LiDAR measurements were compared to cup anemometer measurements before and after CFD correction. This led to uncertainty values for LiDAR measurements before and after correction. Correlation with terrain complexity was investigated using a number of proxies in order to understand the limitations of the methodology. The impact of the CFD model’s sensitivity on uncertainty was also investigated. CFD flow models make use of a significant number of parameters that are chosen by the user, which can lead to significantly different results. Input topography was found to be the most sensitive model parameter. We conclude by discussing the limits of this analysis and by detailing best practices for the use of LiDARs in complex terrain. Abstract: Developers of wind energy projects are understandably keen on keeping development costs to a minimum, especially considering that investment in a wind monitoring campaign occurs years before a project begins to pay-back. Cost cutting impacts on how accurately wind analysts are able to predict the site wind resource, the energy yield and ultimately the financial returns of a wind farm. An open dialogue between the stakeholders developing the wind farm is necessary and a common and easy to understand language essential in order to navigate the “optimal path” for a wind farm – from development through to operation. Using experience from a team of wind analysts, advisory and also development services for hundreds of projects across the world, a cost-benefit case study is presented demonstrating how technical experts in wind resource can communicate the benefits of investing in measurements. This case study will look at a basic monitoring campaign and detail the return on investment of alternative options on the future returns of the wind farm based on the financial model of the site. The technology options examined include the measurement campaign specification including height and number of masts, the use of remote-sensing devices (SoDAR and LiDAR) and also the advantages of investing in more involved modelling techniques (such as Computational Fluid Dynamics). The aim of the work is to act as a tool to estimate the benefits of investing in measurements and quality analysis, and a template to communicate the findings in a language common to most roles in the industry. The results clearly demonstrate the cost-benefit of different measurement approaches for a specific site, empowering investors to take informed decisions on their project spend and, based on informed projections, to maximise return on investment. Abstract: Several efforts to improve offshore wind resource assessments in deep waters have been done in recent years. Although some commercial solutions can be found, characterizing the wind resource in deep waters is still a very expensive task. When not associated with the measuring technology itself, sonic anemometer or LiDAR, the increment in costs is directly related to the supporting platforms, buoys and mooring systems. The development process and main characteristics of a new Glass Fiber Reinforced Plastic SPAR concept to measure offshore wind in depths of over 100 meters are presented here. Concerns regarding economic and survivability factors were in the genesis of the idea. Hydrodynamic and mechanical modeling supported the conceptual design strategy. Morison formulation was applied due to the slender character of the body. Since viscous effects were important, and they are quadratic to the velocity, a drag linearization was applied to the frequency analysis approach. Resulting from the non-linear character of the system, a time domain approach was also applied to achieve realistic results under extreme design conditions. Slamming and bending analysis considerations were added to the numerical evaluation. The numerical results showed that the buoy is stable in operation conditions, achieving with minor structural concerns maximum rotations of 30 degrees and vertical displacements under 10 meters when exposed to extreme 17 meters regular waves. Abstract: Main sources of uncertainty in production estimates can be classified into temporal uncertainty from long term correction of wind, and horizontal and vertical uncertainty from extrapolating measurements to turbine positions using flow models or other extrapolation methods. While LiDARs are effective means of reducing uncertainty in vertical and horizontal extrapolation, LiDARs measuring in short intervals tend to increase long term correction uncertainty. There is a tradeoff between spatial coverage (moving LiDARs around) and length of measurement period on each location. Long term correction methods require concurrent measurement with a reference data source, with uncertainty increasing with shorter measurement periods. Seasonal bias may also be introduced in campaigns less than a year. Meventus has integrated LiDARs into measurement campaigns in complex terrain and adverse conditions since 2010. Based on experience accumulated conducting LiDAR campaigns in more than 15 wind development projects in complex terrain and cold climates, we have developed methods to assess the LiDARs influence on the overall project uncertainty assessment as well as individual contributions to uncertainty in long term correction, horizontal and vertical extrapolation. Insights from the analysis are used to provide general recommendation for LiDAR campaign. Moreover, the uncertainty assessment method outlined can be used to design cost effective LiDAR campaigns as a means to reduce overall project uncertainty. Co-authors: John Medley, Michael Harris, Chris Slinger, Mark Pitter, Edward Burin des Roziers, Muhammad Mangat. Abstract: The International Electrotechnical Commission (IEC) has documented a methodology to try and standardise the procedure for production of wind turbine power curves. Due to the increased use and acceptance of Remote Sensing Devices (RSDs), the standard includes a classification scheme aimed at enabling a traceable assessment of the uncertainty attached to measurements from RSDs. To assess the uncertainty contribution of an RSD, a classification test and a verification test are undertaken. In the classification test, the sensitivity of an RSD to environmental parameters is assessed through the deployment of example units close to a meteorological mast with well-calibrated cup anemometers for an extended period of time, ideally covering a wide range of environmental conditions. The differences in measured wind speed between the RSD and the mast are considered as a function of one environmental parameter at a time. An accuracy class for the RSD is derived by combining the results of these sensitivity analyses, suitably extrapolated to cover a similar range of conditions as those used in the classification of cup anemometers. The verification test aims to confer the traceability of a particular device to international standards, in the form of an uncertainty. The verification test also allows for an assessment of random contributions to measurement uncertainty through a statistical analysis of a series of observations. Two ground-based ZephIR 300 LiDARs were classified at the UK Remote Sensor Test Site at Pershore in accordance with the IEC guidelines. After accounting for correlations between environmental parameters, mean accuracy classes ranging from 3.0% – 3.8% were found for heights between 20m and 91m, corresponding to mean standard uncertainties of 1.7% – 2.2%. The assumption that data from the reference cup anemometer is always correct means the assessment of standard uncertainty for the ZephIR 300 units here can be considered an upper limit. Abstract: It is now commonly accepted that ground-based profiling LiDARs can improve power performance assessment by measuring simultaneously at different heights . On the other hand, even though they are unable to measure the wind shear, two-beam nacelle LiDARs studies show promising capabilities to assess real-world power curves  and avoid the erection of expensive meteorology masts, especially offshore. A new generation of commercially developed profiling nacelle LiDARs combine the benefits of both. The fundamental reason for developing calibration procedures is to assign uncertainties to the measured parameters. Calibration procedures for two-beam pulsed LiDARs have been published in . We have developed new procedures for profiling nacelle LiDARs (both pulsed and continuous wave). In this paper, we will present the procedures used for the calibration of newly developed nacelle-based profiling LiDARs and the results obtained. The outputs of a profiling LiDAR are usually reconstructed parameters (e.g. horizontal wind speed), mathematically derived from a number of measurements of radial wind speed (RWS) at different heights. The new procedures are based on individual RWS calibration. Uncertainties are then derived by combining the RWS uncertainties through the reconstruction algorithms. This method is referred as “white box” in contrast with a “black box” calibration (direct comparison of the reconstructed outputs to a reference instrument). The question of uncertainties for complex wind characteristics derived from profiling nacelle-based LiDARs (shear, veer, turbulence intensity) can be addressed much more comprehensively using the white rather than the black box method. Two profiling nacelle LiDARs, an Avent LiDAR Demonstrator and a ZephiR DM have been calibrated at DTU’s test site for large wind turbines, Høvsøre. They have been placed on the ground, their geometry measured (e.g. cone or opening angles), and their internal inclinometers calibrated. The line of sight (LOS) direction is derived using a sonic anemometer retrieving the wind direction. The RWS along the LOS have been compared to the measurements from a cup anemometer top-mounted on a mast. Finally, uncertainties of the LOS speed calibration have been determined as well as those of the reconstructed parameters. Wagner R.: “Accounting for the speed shear in wind turbine power performance measurement”, , Risø-PhD-58(EN), ISSN: 1095-4244. Wagner R. et al. : “Power curve measurement with a nacelle mounted LiDAR”, , Wind Energy, Vol: 17, issue: 9, pages 1441–1453. Courtney M.: “Calibrating nacelle LiDARs”, , DTU Wind Energy E-0020. Abstract: Based on IEC 61400-12-Ed.2 standard requirements, remote sensing devices have been proven to be used as a standard for power curve measurements in simple terrain. Large rotor diameter, multi MW turbines in complex terrain face completely new challenges in measuring the inhomogeneous incoming wind field across the rotor swept area using remote sensing devices. To this effect a measurement campaign was carried out using both, a ground based WINDCUBE with Flow Complexity Recognition (FCR™) software, and nacelle mounted Wind Iris on top of a 7.5 MW turbine. During the three month measurement campaign ten minute average data and one hertz real-time data were recorded with both LiDARs and the turbine SCADA as well. The effect of rotor equivalent wind speed measured by WINDCUBE FCR™ and hub-height winds as measured by both WINDCUBE FCR™ and Wind Iris will be presented. A detailed variance analysis of the power curve with respect to wind veer, shear, turbulence intensity and wake effects of neighboring turbines is performed. The effect of nacelle transfer function is observed to be significant on performance of turbines at higher wind speed. This study would provide new insights into the flow around turbines using one hertz real-time data of remote sensing instruments. Presenter: Thomas Clark, Managing Director, Ocean Array Systems Ltd.
Abstract: A chaotic/structural approach is taken to characterise turbulence from two environmental measurement datasets. Band limits and measurement noise are implicitly accounted for during application of the technique, providing a significant advantage when using ‘real-world’ data for study of environmental turbulence. The structural approach and its outputs are used within a framework in which different scales of turbulent motion lead to different, highly nonlinear, effects on turbine performance: Large and Very Large scales are seen as gusts, Medium scales result in blade load redistribution and ‘snap’ loading (from interaction between a blade and a turbulent eddy or ‘coherent structure’), Small scales manifest at the blade section performance level. These effects are separated and discussed in the context of their impact on power curves and dynamic loading. This work draws on outcomes from the ‘Turbulence in Marine Environments’ project, sponsored by Marine Scotland, which is tasked with providing guidelines to the industry for best practices in measurement and use of turbulence data to reduce uncertainty. Abstract: Power performance testing is highly valuable to turbine owners and manufacturers alike to characterize site specific performance. The current IEC Standard for power performance testing requires the installation of an expensive meteorological mast adjacent to the test turbine. When the site is complex, these costs are further increased as a site calibration mast is also required at the turbine location. As a result, power performance testing of a statistically significant sample of a project can quickly approach costs in the range of €1 million in complex terrain, and much more in an offshore scenario. In this presentation DNV GL will share how 3D nacelle LiDAR can be used to conduct a power performance test in both simple and complex terrain without masts, while maintaining low uncertainty. The costs, pros, and cons of this testing approach will be compared to testing using IEC compliant masts and nacelle anemometers. Additionally, specific methods for determining installation parameters, performing wind speed correction, analysis, and assessing uncertainty will be presented. The results will be compared to those obtained from parallel nacelle anemometer and IEC mast testing campaigns. Finally, DNV GL will discuss how measurements obtained from 3D nacelle LiDAR can be used to obtain power curves which are not affected by varying site conditions. Comparison of turbines before and after performance upgrades, and obtaining baseline turbine performance to evaluate long term performance degradation are further possibilities which are beneficial to the wind turbine operator. Abstract: The maturity and capabilities of turbine-mounted LiDARs have now progressed to the point where these remote sensing systems can routinely deliver high quality wind measurements of significant relevance to real-world power curves. In addition to hub height and rotor equivalent wind speeds, yaw misalignment, vertical wind shear profiles, wind veer and turbulence can all be measured with appropriate LiDAR technology. This paper will describe how these measurements are made, and some important considerations for effective deployment of these LiDAR systems. Results will be presented and discussed from various measurement campaigns on a variety of turbines using ZephIR circular scan LiDARs. Measured hub height and rotor equivalent power curves will be shown. The influence on these power curves of high and low wind shear situations, and high and low TI will be explored. The effects of various atmospheric conditions (e.g. rainfall) on the LiDAR measurements will also be addressed and shown to be negligible and/or easily filtered. In a similar way the effect of wakes from neighbouring turbines can be determined. Finally, the paper will consider the practicalities of measurements made within the rotor induction zone. Although the free wind speed is no longer determined, the resulting power curves have lower measurement uncertainty and may make possible more repeatable and simpler power real-world curve measurement campaigns, minimising the effects of complex terrain. Abstract: We investigate irregular wind speed profiles that we expect to see in many typical Finnish wind park sites. The specific terrain that is checked is flat areas with complex roughness patterns, such as areas where wooded land and open landscapes (e.g. lakes) follows each other repeatedly. This is expected to create multiple boundary layers and an irregular wind speed profile over the turbine blade swept area. We compare CFD modeling with linear modeling to see how different wind flow models handle complex roughness patterns. Abstract: Analytical wake models are simple, run fast in personal computers and provide often satisfactory results when compared to direct computational fluid dynamics (CFD) based wake simulations. Still they are only analytical models and cannot capture all important physical phenomena which are needed to describe the wake effect correctly. Therefore, it is necessary to understand their validity and their limitations to achieve as accurate wake estimations as possible. From a proper analysis of analytical wake models result new developing ideas on how the wake models can be improved. In this study a validation of three analytical wake models is carried out using experimental data from Horns Rev offshore wind farm. The commercial CFD software WindSim has implemented the analytical wake models from Jensen, Larsen and Ishihara. The accuracy of the three models to predict the observed power production will be discussed as well as the parameters that influence this accuracy. A validation is shown where mechanically generated TI inside the wind farm is taken into account in the Larsen wake model. This improves the simulation results for some flow cases. It can be concluded that the results of the wake models agree well with the observed data but in most of the cases the value of the input parameters used in the wake models are higher than what is recommended or expected for an offshore site. Abstract: Wakes are significant causes of energy loss in wind turbines arrays. Assessment of wakes has been undertaken historically by inferring wind velocity deficits from observed power deficits attributed to them, but had not been directly measured prior to the availability of LiDAR methods. Scanning LiDARs have enabled detailed and precise measurements as sophisticated as the models used to predict them. This has allowed the applications of new levels of scientific rigour to support confidence in the results of these models by comparison with measurements. This presentation will review a variety of direct measurements of wind turbine and wind farm wakes made using scanning LiDAR since 2008 until the present. Comparisons of the measurements with a variety of models, some novel, others forming the basis of industry standard tools, have been made. For example, it has been seen that LiDAR measurements allow the selection of models with the turbulence closure schemes that most accurately reproduce measured results. This supports confidence in the use of these models under similar circumstances, with a corresponding impact on uncertainty analyses relating to wake losses. One key finding is that the distance over which wakes propagate is seen to be highly sensitive to atmospheric stability. If this sensitivity is not accommodated in pre-construction resource assessment and energy yield calculations, discrepancies can occur between budgeted and observed production. Another key finding is that wake phenomena in wind farms show emergent characteristics that are properties of the array: it is not sufficient to consider the effect merely as an accumulation of the effects of individual wind turbines. Rather, the cumulative influence of the wind turbines is seen to modify the wind conditions as the wind penetrates the array. Understanding wake losses requires us to consider the array as a system whose components are wind turbines.